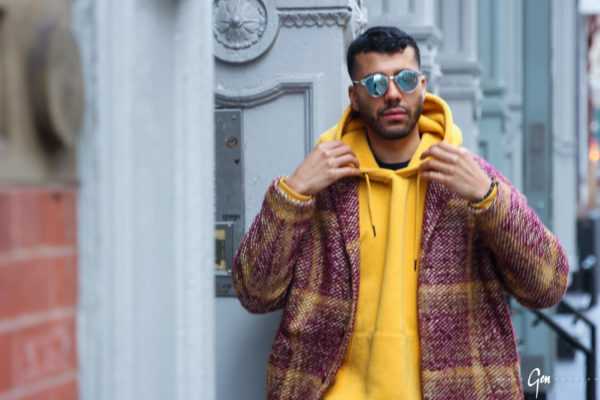 On and off the streets of New York City, Kevin Benejam is a gentleman that embodies the millennial Slash Generation. He is a Men’s Fashion Stylist/ Social Medial Star/ Broadcast Host/ Creative Director and Lifestyle Influencer. As a first-gen Puerto Rican entrepreneur, Kevin can be seen tackling his bootstrapped and self-run business between fashion shoots and media events. Today he is one of New York City’s most dapper tastemakers. We sat down with Kevin to discuss his urban upbringing and the evolution of his personal identity in regards to his multi-faceted career, race, and creative expression.